RC’s detailed review answers a number of questions about the Firebird, while leaving several unaddressed, which we’ll get to. I appreciated the detail of the floating derailleur setup, aimed at curbing chain toss during the acceleration/decelleration moves we’ve all experienced. (Especially on my VPP Intense 6.6, remarkably not on the DW-Link Ibis Mojo, altho my riding buddy has had severe chain jams on his Mojo for some reason.) But the plate-and-pin engagement begs the question of what happens when one or the other snaps? Or wears down? I ride in the Northwest, where 3-foot drops, launches and just plain rocky terrain are a given. I want to build a Firebird for aggro trail riding. I’m worried about the pin-and-plate design failing. When it does, can you still shift? Can you ride at all? What do you do once you get the bike back to the shop? Does the whole frame have to be replaced, or is it just a matter of servicing a bolt or ordering a new part? Although I understand the limited logistics of bike testing, I would also have appreciated RC testing a burlier build on the Firebird. It seems like Mountain Bike Action always wants to test the stupid-lightest build out there. But face it, how many of us are going to be riding a 30-lb. Firebird with full XTR blah blah. We’re not racing this thing XC after all. If we want to race we’ll go with a carbon weenie bike. There’s been a lot of talk on the lists about a coil build for the Firebird, and Pivot has told Bike Intelligencer that the frame will accept a DHX 5.0 (there’s enough clearance). But Dave Weagle, the DW-Link wizard who worked closely with Pivot designing the Firebird, says the bike is optimized for the RP23 air shock and, presumably, the Fox 36 Talas or Float. I would’ve appreciated RC’s perspective on this, but again, silence. We’ll have to look at it ourselves; we’ll also report what the groms say on MTBR and elsewhere. As long as we’re talking wish lists, I’d also be curious if Pivot will issue any additional colors (beyond brown and black ano). I don’t like root beer the soda, so why would I like a root beer color bike? Black is fine, but what about powdercoats like in a pearl white? The Firebird cuts a dashing figure and deserves more bling. Riding the Firebird Prototype in Prescott from Ken Bennett on Vimeo. I took a spring break trip to Moab w/ some friends recently and got 3 good days of riding in (Soverign, Slickrock, Porcupine, etc.) We all wanted to demo some new bikes so we decided to rent in Moab from Poision Spider. The first 2 days I was on a new intense tracer (in fact they had gotten in in like two days before I rented it, and I was the second person to take it out. 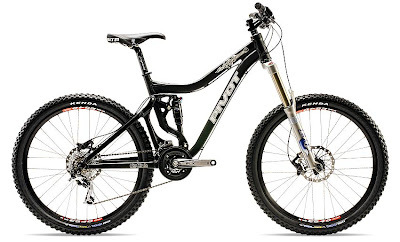 When I reserved my bikes for the trip, I ordered the intense for 2 days, and a Pivot mach 5 for the last day. On the third day when I showed up expecting a Mach 5, they said that it had accidently went out and I could take my pick of the fleet. Being from Illinois, I am obviously What RC would call a trail rider, and for the most past not an “all mountain” rider due to the lack of mountains in illinois. THe Pivot Firebird was sitting there looking real nice, but I figured with 6.5 inches of travel,it would be a pain hauling up and around the trails of moab. I asked one of the workers if the Firebird would be suitable for my “Illnois style riding”, and he assured me I would be alright. He even said that he personally had just but bought a firebird for himself. Long story short, RC’s review on the Pivot Firebird summed up my experience. The firebird was really a mind blowing ride. The brand new intense I was on the for the first two days did not even come close to comparing. The firebird pedaled like a hardtail, and soaked up some lines that I wouldn’t have even attempted on another bike. I have been a long time subscriber to MBA, I am aware how RC will every so often flip out and seemingly exagerate about how amazing a bike is (BLUR LT2,New Treks,etc. Im sure like many other readers, I have always been skeptical on how accurate his claims are. After demoing the Firebird, I will never question any of RC’s Rants over a product ever again. SPOT ON RC, SPOT ON.